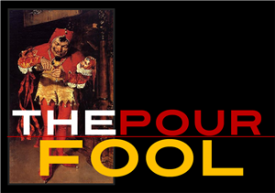 Best of The Northwest has been, since I started this blog in 2008 in the online pages of the Seattle P-I, the most popular regular feature of The Pour Fool. Every year, more and more people read it, for which I thank everyone who stops by for a look. From the beginning, I’ve said that the ambition behind it is simple: this is a Buyer’s Guide for those interested in tasting great Northwest beers. It is and will never be anything more than ONE GUY’S OPINIONS as to what constitutes “great” and YOU should attach no more importance to it than that. Admittedly, my tastes are NOT universal. There are several breweries in my own home state of Washington that are routinely fawned over by thousands, while I find them inconsistent and prone to some severely routine beers. There’s the grain of salt with which to take this and every other list you read here. I started this reluctantly because people like lists and I was asked…a LOT. “If this list included other states, would it be different?” YES. It would have to be. I cover Washington, Idaho, and Oregon with BoTNW and have been frequently asked to do more. I MAY include Montana, Alaska, and British Columbia, at some point, but that probably won’t happen soon. I can say that, if I included only Colorado, for example, maybe half the list would change. Ditto for California and, to a lesser degree, Arizona, Utah, and New Mexico. I focus on Here because I live Here. But that’s not to say that I think all the best of the US is made Here. “If you name five beers in a category, which one is the best?” That’s for you to decide. This, as I said, is a Buyer’s Guide; a way for you to maximize your beer $$$ when traveling about our soggy, mildewey, gloriously beautifully region. I toyed with the idea of making one bold-faced or a different color but I don’t want to suggest a preference. I can tell you this: whatever appears first is probably the first one on my mind, so…make of that what you will. “Are you going to omit breweries that are bought out by Anheuser-Busch?” YES. They’re no longer craft breweries because they’re part of the world’s largest and most questionable beer company and that’s their trade-off for taking the big bucks from corporate thugs. The one in Seattle, the one in Bend – GONE. And they’ll stay gone until that day when they’re sold to some company that’s not a sworn enemy of craft brewing. That seem unfair? Life ain’t fair, folks. No apologies, no exceptions. “Are all of these available in bottles or cans and can I get them in _______?” Not necessarily. A couple of years, I put an asterisk beside beers that were tap only but, by the time I made the list, many had been packaged. Here in the Northwest – especially in Washington – we have been VERY slow to offer cans and bottles for one very good reason: we used to drink all the beers. Really. 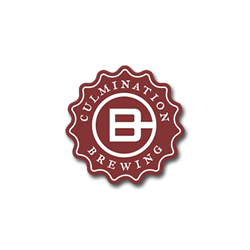 Washington breweries only started offering packages, with certain exceptions, about six years ago. Now, many do it but certainly not all because us Northwesties LOVE us some craft beer and we drink LOTS. Sadly, if you want a lot of what’s here, you’ll have to seek it out on a brewery-by-brewery basis. Email the brewery and ask where you can get their beers. Most times, they can ship to you and, if not, they can probably give you a source. Good luck. The search WILL be worth it! I called this installment “The Year The Beer Arrived” because so many of our emerging NW breweries hit their stride in a single year. Beer, let’s face it, is trendy. The new shiny bauble will always be more visible and talked about than the six to ten-year-old producer who’s just Figuring It Out. But you ignore those veterans at your own peril. You know the names Stone and Dogfish and Russian River and Great Divide and AleSmith because they GOT good, not because they popped up running full speed. Breweries grow into their excellence and thousands of new ones seem to fall away within a year or two because the novelty wears off and trendies move on to the Next Big Thing. In 2015, dozens of those veterans got their acts together at once and that’s made it one of the best beer years I can remember, in my quarter century in the Soggy Corner of the US. One small note: as opposed to previous years, the Beers of The Year are NOT included under their categories in the body of The List. It’s more dramatic that way and, well, I like Drama. Jeff Whitman has taken a virtual monastic vow of Belgian-ism and has violated it exactly one and a half times. 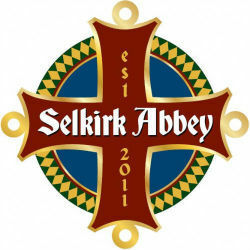 The “one” is his massive, near-perfect Scotch Ale, “Selkirk Grace”, and the “half” is this…this startling, Belgian-inspired retake on the weary old Northwest Porter. I’ve been so profoundly bored with our regional Porters lately that it makes me cry…and then I get this. Flamboyant background flavors of spices and bananas and bubble gum just barely whisper behind a classic, muscular dose of traditional Porter character, the coffee and molasses and horehound and bitter chocolate that underpins all great Porters. There are hops, too, brightly outlining the fruits, spices, and dark delights. 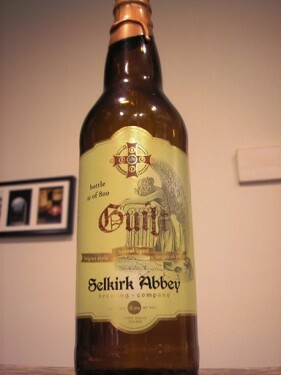 This is SO immediately and startlingly different that the usual reaction is, “Whoa!” That’s a pretty good thumbnail descriptor for almost all the Selkirk Abbey beers but this one…well, this is a whole other animal. “Guilt” breathes new life into the Porter style and I want MORE…lots more! What Shane Johns and his crew at Tacoma’s Engine House No. 9 have done to Washington’s brewing culture may never be undone…at least, that’s my fervent hope. Against the wishes of his employers (at first, anyway) and wildly counter to the stolidly British-traditions tastes of his own customers, Shane, an uber-creative former chef, embraced wild and sour and brett beers with a desperate bear-hug, in a time, about three years ago, when those beers simply did not exist in this, the nation’s third-largest brewing state. And he did it in a way that just could not be denied. From almost Day One, these beers were shocking in their completeness, character, and ferocious drinkability. People who never drank sours, in blue-collar old Tacoma, wound up pouting when Shane ran out. And all us WA sour/brett freaks turned their converted firehouse into a Pilgrimage. 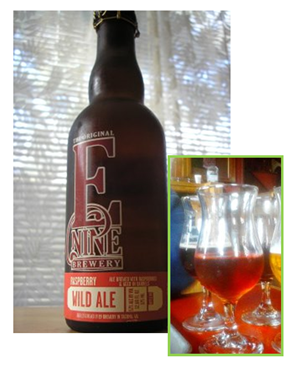 In 2015, Shane really hit his stride and his Raspberry Wild Ale has become a virtual flagship beer for the Wild Side of this slightly-schizo brewery. The raspberry character is as fresh and authentic as any fruit ale I’ve ever tasted and the sour edge is perfect. It’s creamy, in a way that sours seldom are, and the glorious bright red color beckons like a siren to beer fans of any stripe. This beer is one of the best sours I’ve tasted from ANY American brewery; an absolute Achievement. This is an absolute can of Bliss…one of the most purely and compulsively drinkable Northwest IPAs ever made by anybody. It’s the antidote to all those overdone herb-fest IPAs that have become synonymous with the term “Northwest”; a sunny, citrusy, resiny daydream of complex but uncomplicated IPA pleasure. Built along the lines of Stone’s “Delicious”, The Optimist carries that light ‘n’ bright ideal to its logical conclusion. This is the beer that you’d pour for your hard-core Northwesty guests on a warm(ish) Oregon afternoon but also the one you’d serve those visiting Easterners and Midwesterners, so they’re not stunned by our level of hops mania. I can’t say it any better than I did in my original review: “lime leaf, lychi, faint buttermint, a lurking intimation of spices that remains tantalizingly out of reach. It’s complex and shows , dare I say it, an elegant hops presence that shows pretty florals, citrus even beyond lemon and into tangerine and pink grapefruit, and a beautiful gilding of spruce tips and pine needles that lays back on the finish.” This is a totally captivating, crowd-pleasing, complete ale that was on my table and in my glass more than any other single beer in 2015. If there is such a thing as a best of this list, Hop Tropic might just be it. Brewmaster Adam Robbings concocted this ale for the Seattle institution pizza chain, Zeek’s, as a sunny complement to their eclectic toppings and as an alternative to the tired old tradition of pairing watery Pilsners like BudMillerCoorsPabst with flavors that completely cover them up. And I’m here to tell you that it works – BIG time. Hop Tropic is one of the most expressive, complex, juicy, engrossing, and creative beers that most of us will ever encounter. It is so wildly drinkable that we polished off an entire growler of it within forty-five minutes, after tasting it at the grand opening of Reuben’s new, expanded brewery and taproom. 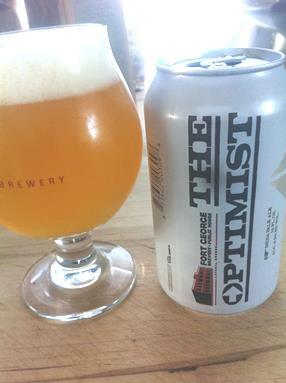 The flavors here are spiritually akin to The Optimist but moreso, despite the fact that The Optimist is an IPA and Hop Tropic is (technically) a Pale. The hops are beautifully assertive and bitter but varied and colorful, hitting every note from resins to citrus to wildflowers to herbs. But the balance is what sets this ale apart. The soft, chewy malts and a dazzling, robust spiciness play off the hops in perfect harmony and the texture is like drinking a glass of silk. The catch here is that Reuben’s, as of this writing, is not packaging Hop Tropic and maybe it won’t happen at all but it WILL, guaranteed, be worth a swing by Reuben’s Ballard taproom or any neighborhood Zeek’s to taste this little glass of Miracle. Holy Mountain Brewing is less than six months old. Even as I write that, it seems impossible. Their influence upon Seattle’s and Washington’s brewing scene has been on the scale of gravity or a mega-watt electromagnet: irresistible. Within one month of opening its doors, Seattleites were talking about it as one of the Northwest’s best breweries…and it was not hyperbole. Brewmaster/partner Colin Lenfesty and his partners, Adam Paysse and Mike Murphy, are old hands; veterans of several area breweries who used the old carpenter’s adage to get HM open: “Measure twice, cut Once.” I’ve now done four tastings in their dead-on Seattle-ish taproom – an aesthetic cross between a shower stall and an oddly-homey operating room – and have come away more impressed each time. “The Third Nail” is one of the best of the rising tide of the West’s Belgo-American hybrid ales that I’ve ever come across; the only West Coast ale that compares, for me, to “A Night in Brussels”, that lovely, resiny masterpiece from Atlanta’s Three Taverns Brewing. (If a collaboration between these two breweries happened to, y’know, come about, I wouldn’t be exactly broken-hearted. Hint, hint…) Brewed with Belgian yeasts, this ale drips spicy citrus, aromatic florals, and eccentric tropical notes by the fistful and perfectly expresses that Seattle hallmark, semi-ironic Uber-Cool that’s the backbone of the brewery’s appeal. Holy Mountain, despite the fact of being better funded than many Washington breweries, is the perfect expression of the idea of the word “Seattle” and it’s a must-see beer destination for any beer lover visiting here. Great as Third Nail is, it’s not even my favorite HM beer. That title goes to their gorgeous dark Saison, “River of Ash”, but, purely in terms of what makes a great beer, The Third Nail is almost unsurpassed in Washington brewing. There are people in Seattle who have not yet been to Reuben’s. Not many, for a fact, but as I said above, we’re trendy here and there are a lot of see-and-be-seen types who mainly visit breweries because they’re chic or hot and all their friends go there. But, on any given day, you’ll find other brewers, beer writers, visiting beer geeks, beer scholars, and even a rugby team or soccer side, all seduced by some of the country’s best and most eclectic beers, made by a guy who was formerly one of America’s best homebrewers and whose British roots run deep. Adam Robbings is a mild-mannered Englishman who makes Clark Kent look like a drama queen. 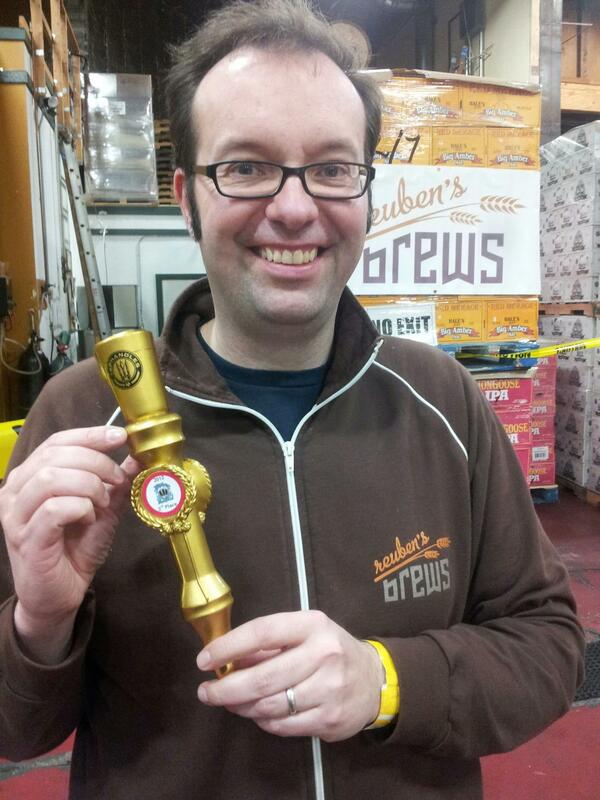 He’s bespectacled and studious and a quiet and absolutely bursting with brewing knowledge and ideas. The growth of Reuben’s, in just its first two years, took everyone by surprise, including Adam, who expected to do well but maybe not to explode like a land mine. They operate at a constant backlog, even after almost tripling their capacity in August of 2015. “Hop Tropic”, one of our Beers of The Year, is brewed almost around the clock to satisfy demand, as are “Crikey”, Adam’s dazzling IPA, and “Blimey”, his huge, aromatic Imperial. His barrel-aged Imperial Stout, the perennial anniversary beer, is easily the best Stout made in Washington, and experimentation goes on daily. If you haven’t heard of Reuben’s Brews, that’s understandable. We’re a bit isolated, waaay up here in this freaky corner of the country (many Washingtonians considered “Twin Peaks” a documentary), where our innate weirdness runs headlong into our resolutely normal beer tastes, but people here value quality over normalcy and Reuben’s massive skill is evident in every sip. 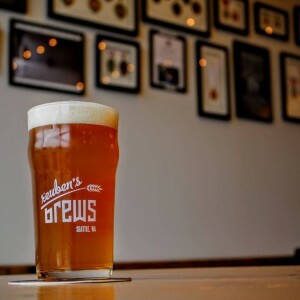 I thought about which brewery should occupy this spot for months and several others could have been a solid choice but, after all that, it had to be Reuben’s Brews as The Pour Fool’s Brewery of The Year for 2015. Great list, some beers to look out for in the future and a good selection of beers I agree with here too. 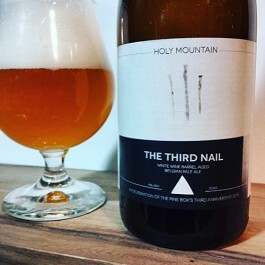 And yes, Third Nail was a wonderfully unique take on the Belgian / American hybrid beers, I’ve yet to have a beer that tasted quite like it. ← All These New “Below-Average Breweries”: Where Are They?